The Democrat is published bi-monthly in hard copy/paper and contains material which analyses the implications of European Union, common policies, the single currency, a Common Foreign and Security Policy and EU Army, common taxation and judicial systems for Britain. This includes the EU institutions, policies, directives, regulations and drive to an EU superstate with an EU state Constitution (aka Lisbon Treaty). There are articles giving the alternative to EU membership which requires Britain to regain the right to self-determination, national independence and democracy. What must be done by 'working people'? "3 million jobs depend on Britain being in the EU." But what is this myth of a figure based on? Editorial - Who's on the side of 'hard working people'? 1. Who elects or appoints whom? 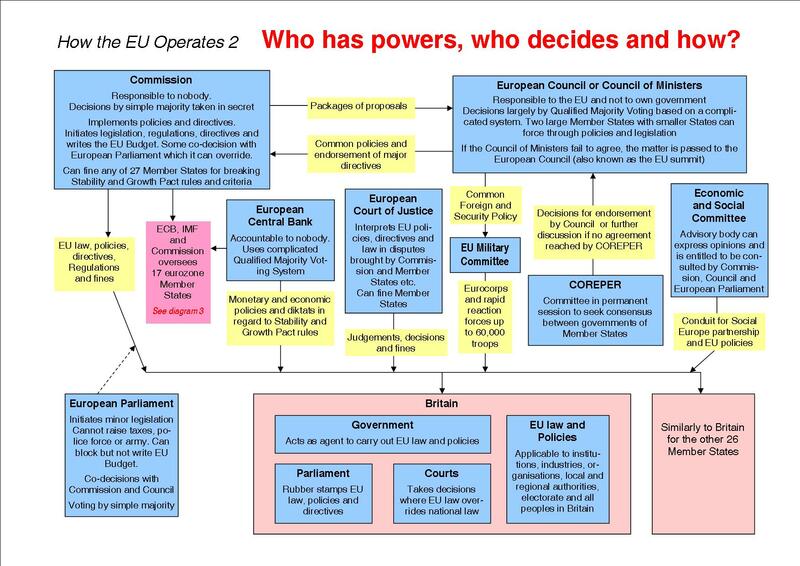 2. Who has powers, who decides and how? 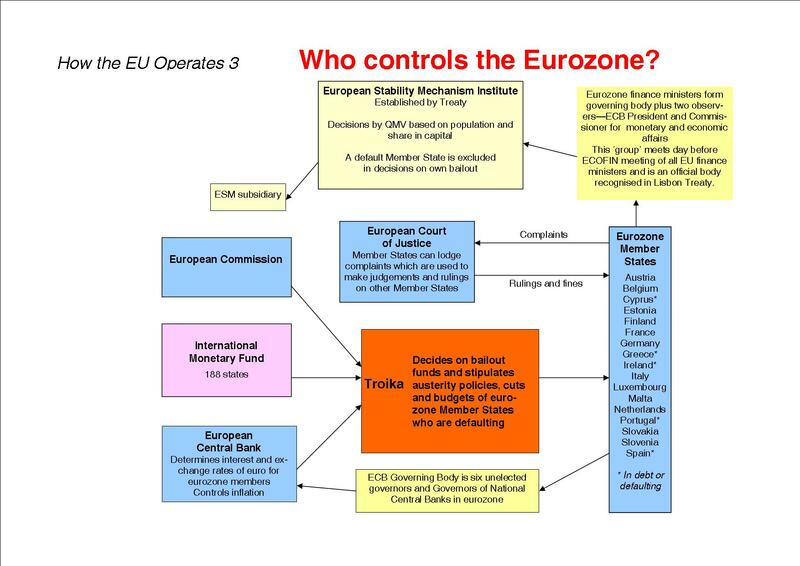 3. Who controls the Eurozone? Who would Britain trade with if Britain left the EU? Editorial - European Union to the fore? Eurocorps - "A force for the EU and Atlantic Alliance"
Is this the end game of the City? Bailing out the banks - who pays? Statement by People's Movement of Ireland on "Guarantees"
Maastricht trick for Lisbon II? Bob Crow "Say no to EU rail privatisation"
Military aspects-integration;operational HQ; new EU-NATO Stlantic Charter? To be or not to be for Britain as a sovereign nation-state?